We all have our quirks and one that I’ll admit to involves a rather odd fascination good trash-to-treasure stories. No, you won’t find me peering into neighbor’s bins under cover of darkness, but the industries surrounding solid waste, recycling and scrap always seem to be under-the-rader-screen sources of interesting story nuggets. The notion of scrap metal has been nagging lately — my community recent held its no-holds-barred spring cleanup event, when residents can discard any items they want for pickup, and the scrap-metal scavengers were out in force, swarming up for cast-off barbecue grills, old snowblowers, broken-down storm doors and other odds and ends that cumulatively could be traded in for a nice haul of cash at the local scrap metals dealer. Sounds like a common phenomenon; here’s a just-out report from the Jamestown (North Dakota) Sun about a similar event; the reporter, David Luessen even was clever enough to give readers an up-to-date report on scrap resale prices: Gerdau Ameristeel was reporting between $2.40 and $2.55 a pound for uninsulated copper, $140 per ton for unprepared steel and $160 a ton for prepared steel in dimensions less than 18-inches-by-18-inches-by-3-feet. After a drop in scrap metal prices, those numbers are within about a nickel of the prices from five to six months ago. 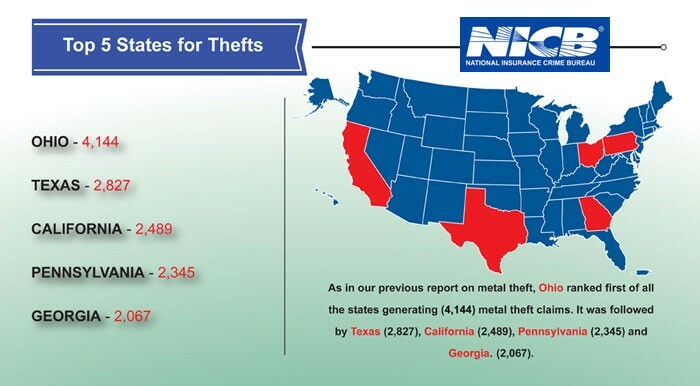 Note the mention of a dip in prices; perhaps that’s driving a drop in theft of scrap metal as reported by this May 8 report from the National Insurance Crime Bureau that scrap metal thefts are on a three-year decline, at least as measured by insurance claims. The NICB offers a ranking of claims by state, so you can see where your market fits in, and a cool infographic. But even if thieves aren’t doing quite as brisk a business as they were, thefts are still pretty common — here’s a very recent Indianapolis Star article about workers taking truck parts and fire department gear to resell at scrap yards — and legitimate scrap businesses also are an interesting niche you can look into. Check with state regulators about scrap metal industry rules; many have clamped down on transactions in an attempt to thwart fraud; here’s a state-by-state compliance guide. Also check with state officials about the number of registered dealers and any trends. The National Conference of State Legislatures also has published a 2013 legislative update and offers links to other scrap metals-related resources. 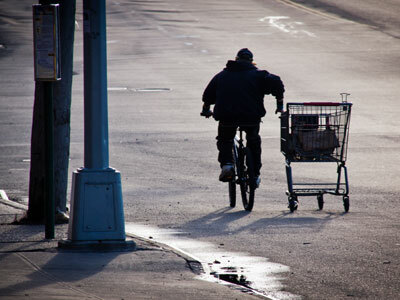 It seems a lot of states regulate scrap metal via the secretaries of state or DMVs; they also might point you to local associations and members. If you’re looking for information about metals markets, MetalMiner.com and MetalBulletin.com are sources; you can also ask area dealers where they get daily metals prices. And ScrapMonster.com has a news feed, historical prices and a link to a surprisingly active discussion forum for scrap buyers and sellers with threads like “A day in the life of a scrapper” (posters wondering about the value of an old playground slide) and “A scrapper’s dream.” If you cover personal finance or even workplace issues, I bet you can find some interesting tales from people who scavenge scrap for a living. And on a related note, I see some scrap industry players also belong to the National Demolition Association, another interesting niche industry especially if your area is dealing with the aftermath of storm, fire or other natural disaster damage and recovery.